and see how it compares to today’s science. 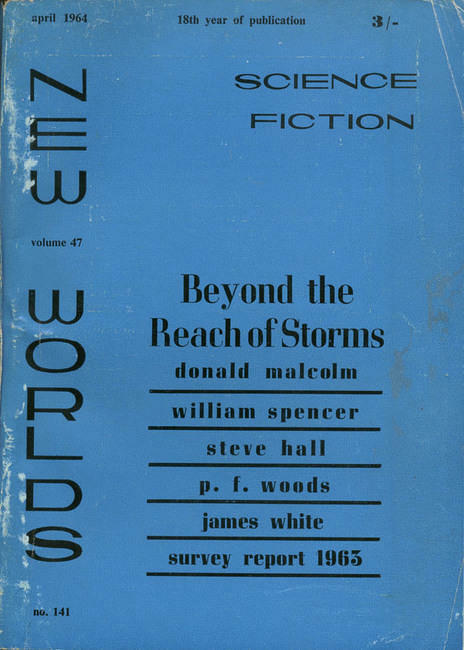 To mix things up a bit I decided to review four stories in John Carnell’s last issue of New Worlds ScienceFiction (April 1964) before he handed over the reins of the dying publication to Michael Moorcock, who would elevate it to New Wave greatness. Other than the James White serial Open Prison, which I plan on reading in book form when I procure a copy, three of the four authors reviewed below owed much of their careers to John Carnell, and would see few stories in print after his departure (see the individual story reviews for details). Only Barrington J. Bayley, writing as P. F. Woods, would see continued publication (and growing popularity) in New Worlds under Moorcock.